From now until 31st December, Sony Entertainment Network is exclusively offering PlayStation Plus customers the opportunity to enjoy the Music Unlimited Premium service for one year for just £11.99/€11.99/107.99 Kr/AU$13.99, down from £119.88/€119.88/1079.88 Kr/AU$143.88. The offer gives users a massive saving over over £100 / €100, and costs the same price as a music album. This is a perfect chance to try the service if you haven’t previously used it. 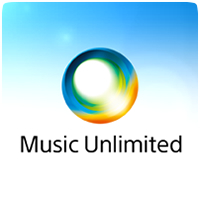 The Music Unlimited premium service operates across a huge variety of devices, including your laptop, Android, iPhone, PS3 and all other enabled Sony devices, so you can stay connected wherever you go. Your PS Plus offer can be obtained by going to the PS Plus section of the PS store, accessible either through your PlayStation 3 or PS Vita device. Non-Plus subscribers can also take advantage of a reduced Music Unlimited Premium rate – £59.99/€59.99/539.99 Kr/AU$71.99 for a one year subscription.